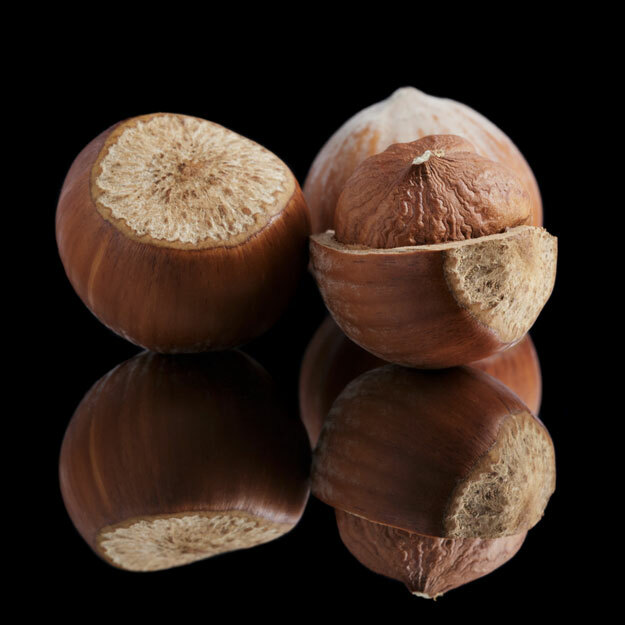 The hazelnuts of Piedmont are highly sought after for their unique aroma. 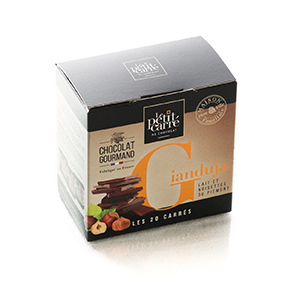 Particularly intense in perfume, these hazelnuts from Italy, combined with the sweetness of milk chocolate, make the Gianduja an extremely delicious chocolate. 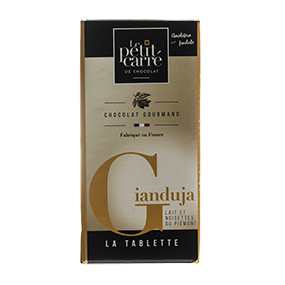 The Gianduja with milk and hazelnuts from Piedmont can be enjoyed by pure gluttony or with a coffee or tea. 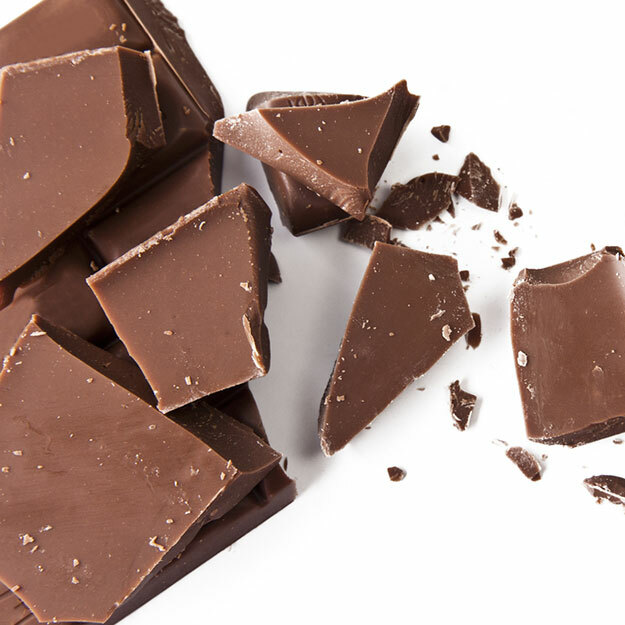 It is a very melting chocolate, which can replace the praliné in your recipes, for a more pronounced hazelnut taste. 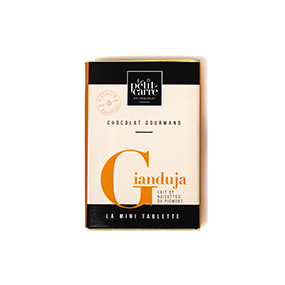 Gianduja comes in 4 formats. 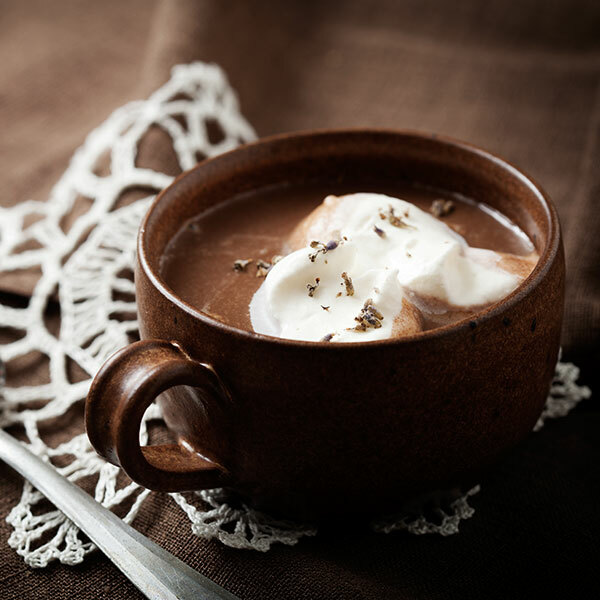 For every moment of the day, there is Un petit carré. Le petit carré to share. Le petit carré to eat alone. 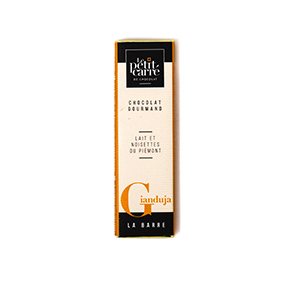 Le petit carré for chocolate addicts. Le carré to eat all day long.